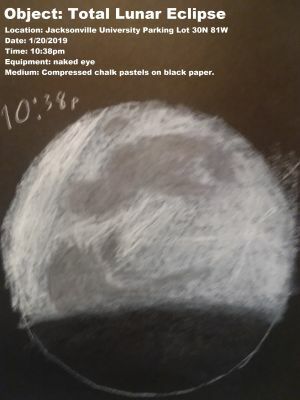 I've never worked with pastels before and didn't have time to really practice with them prior to the eclipse. I also didn't want to get pastel powder on my scanner so I just took pictures of the sketches and added some important info in MS Paint. Also I had to work furiously to get these sketches done in time for the next sketch in the series. I honestly thought that the first picture depicted a scuzzy cotton ball. The last two resemble an impressionist's take on Mars, complete with exaggerated polar caps at different times of year. But, you tried! No doubt you were working hard and fast. I'll just squint. I agree with tomdey, is nice to see real-time sketching where you don't have the luxury of time to add every detail possible. The goal is to depict the character of the moment, which is wonderfully achieved!! Also nice to see chalk pastels. 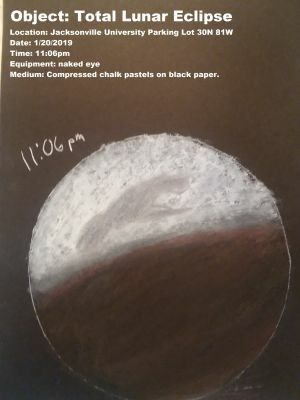 I've never tried -- so it is cool to see a different medium. Nicely done. And with the naked eyes, good! Lots a detail and patience. Thanks for sharing. Clear skies. Great sketches done at the eyepiece! Well done! 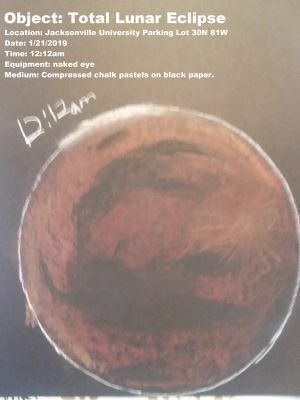 Very nice sketches of the Eclipse . Still I would recommend to scan them, cut them digital and put them together on one paper. I worked with the same methode, but used optics. I hopefully will find some time to scan them one of these days. 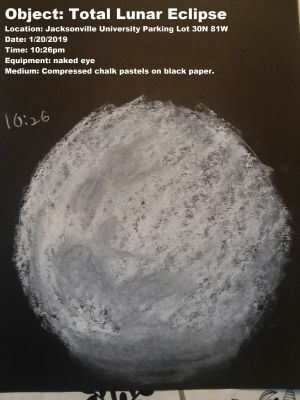 The chalks and pastels allow you to work quickly. 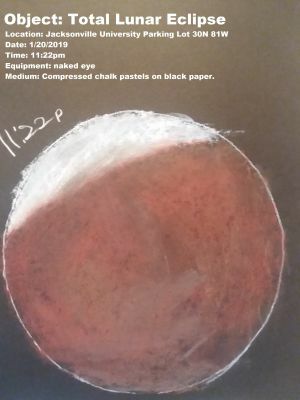 Wonderful transition of sketches of the eclipse. 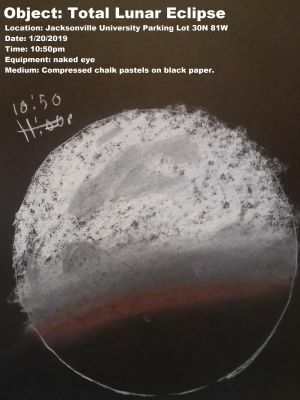 Sketching with pastels is very enjoyable except for the dust!